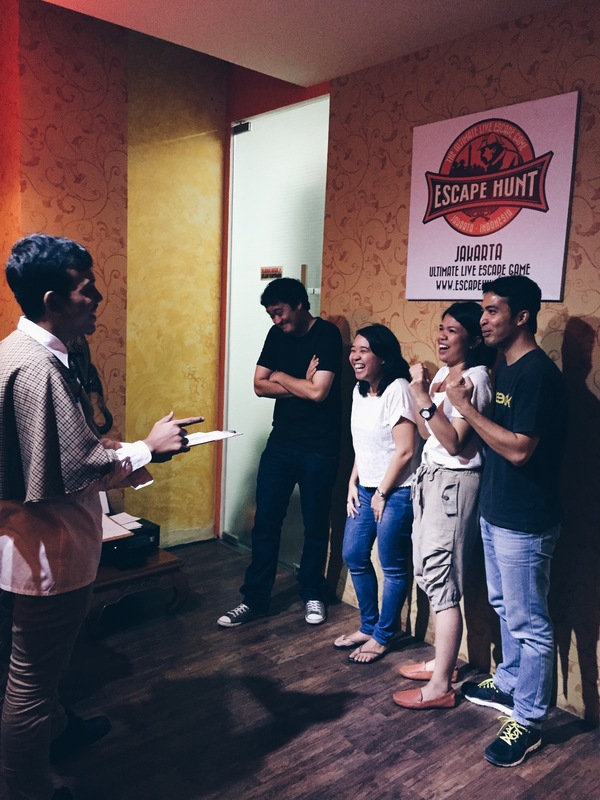 Have you ever heard of Escape Hunt Jakarta? 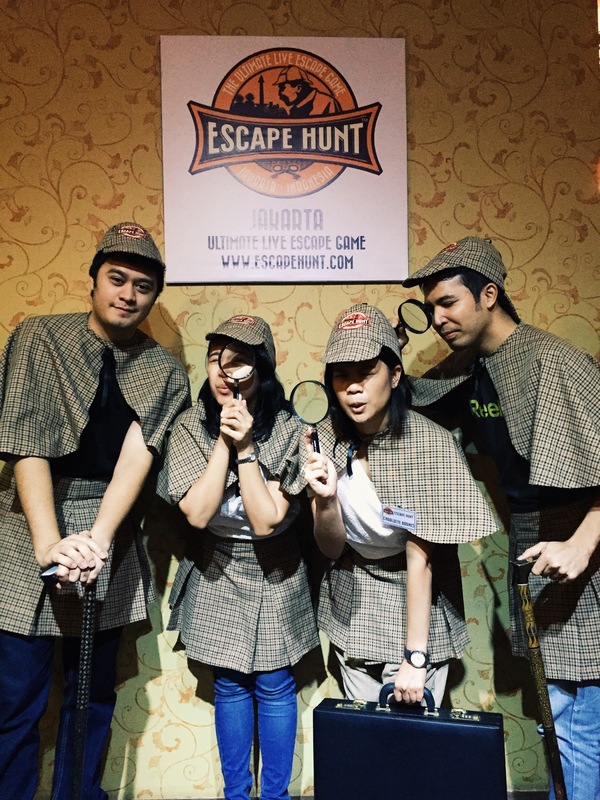 Located in Kemang, South Jakarta – It’s an indoor detective game. Sounds cool, right? Basically you have to solve a case within a given time. There are 3 cases to be solved with different levels of difficulty. Last Saturday I went there with my friends and we chose to play the “murder in the bedroom” case, which has medium difficulty level. When we first arrived, we were told to sit down in their “reception room”. There we can manage the payment and choose the type of case we want to solve, while enjoying a glass of water. After we decided, we were given a briefing by our “game master” as pictured below. He explained to us the rules of the game and how to play. I had so much fun! Won’t tell you the details to avoid spoilers hehe, but it was not as easy as we thought – We got confused at some point and had to use the help phone, but in the end we were so relieved when we managed to escape. If you liked to play games and would like to do something different on the weekend, I would gladly recommend you to try this game… For sure I will be back to solve the other two cases! Jl. Kemang Raya 15, Jakarta Selatan 12730, Indonesia. di singapore juga ada nihh ta.. tp belom sempet nyoba.. soalnya yg dsini harus di book dl gt.. katanya klo walk in jarang bisa dpt slot buat main..
Iya Ira.. seru banget lho! Previous Previous post: Hello Birthday Month!